Located just 200m away from the northern part of Patan Durbar, the Kumbeshwar temple is built in accordance with the devotion to Lord Shiva as clearly signified by the large statue of Nandi or bull facing towards the temple. 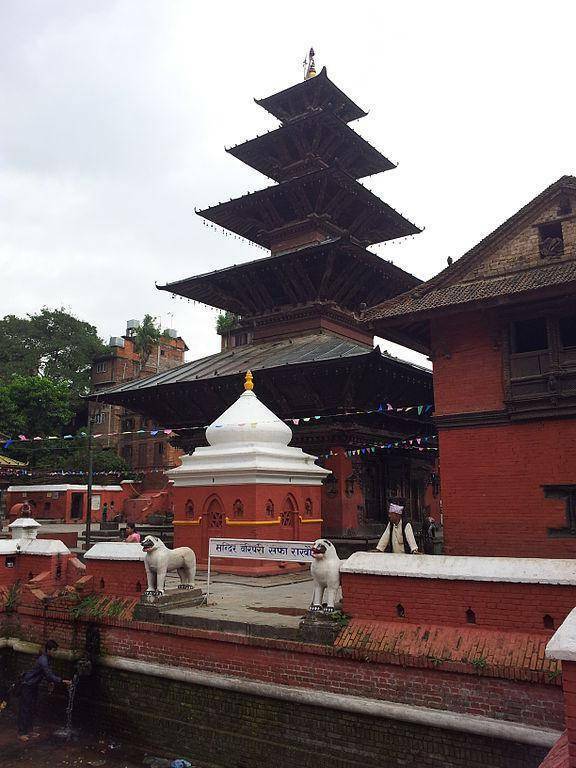 It was built by King Jayasthiti Malla in the 14th century which makes this temple the oldest in Patan. The Kumbeshwar temple is a complex itself with several shrines, mainly the Bagalamukhi and Ulmanta Bhairava, two hiti ponds and a fire sacrifice area among others. Numerous pilgrims and tourists arrive around this temple during the Kumbheshwar festival celebrated in the month of July or August. One can find some elegant and excellent woodcarvings on the overall structure of the temple. It is also one of the two free standing five-storied temples, the other being the famous Nyatapola temple in Bhaktapur.